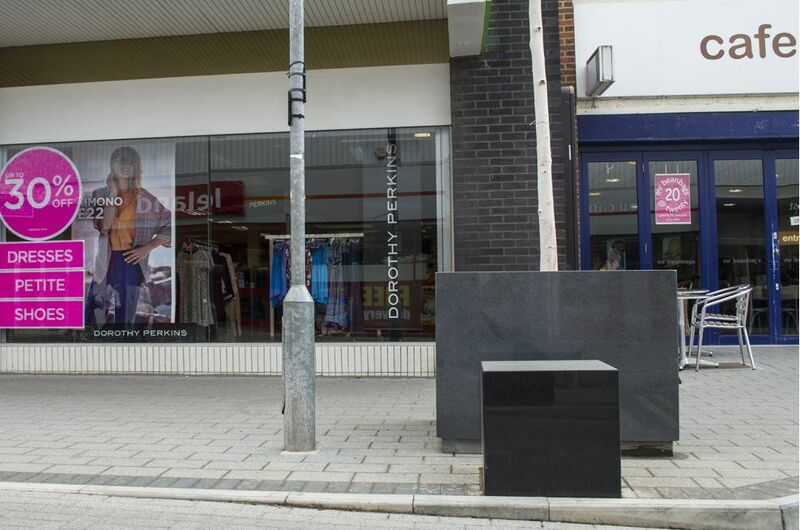 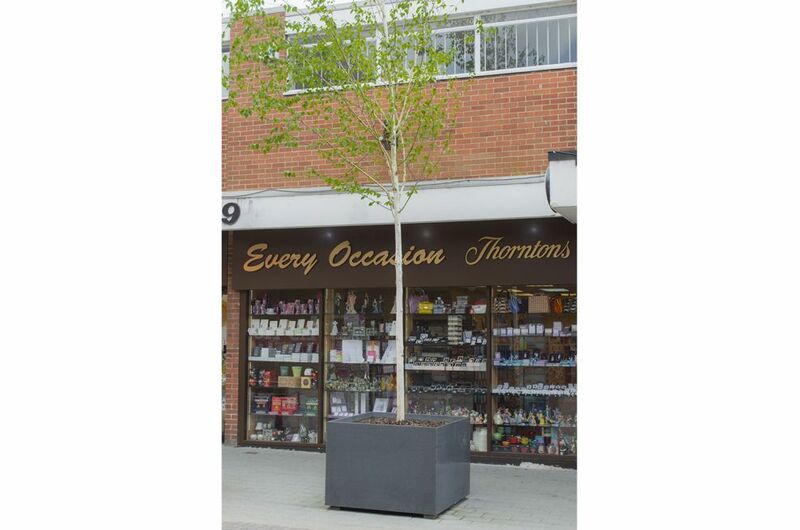 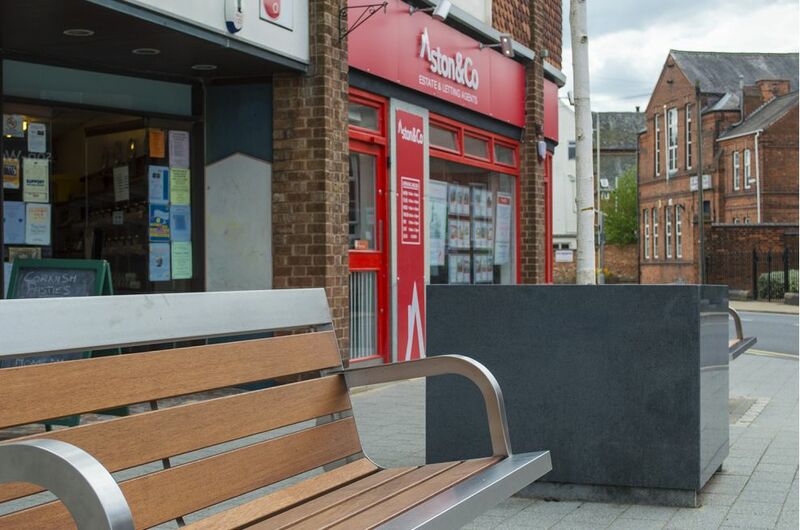 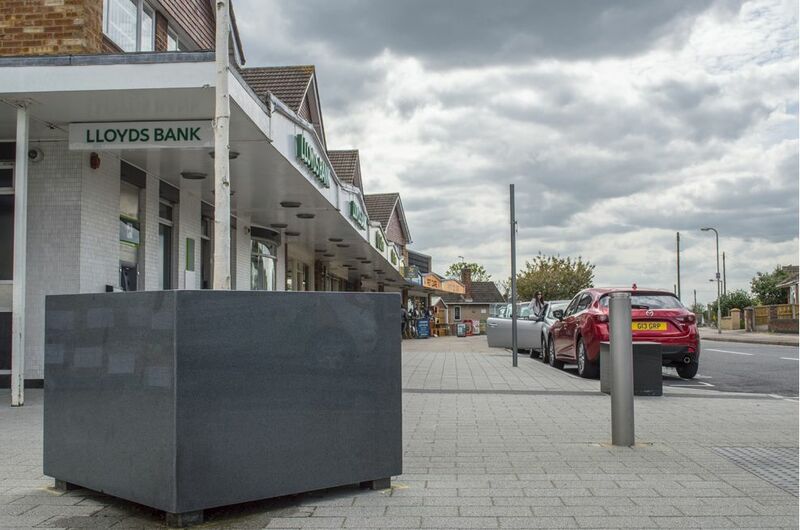 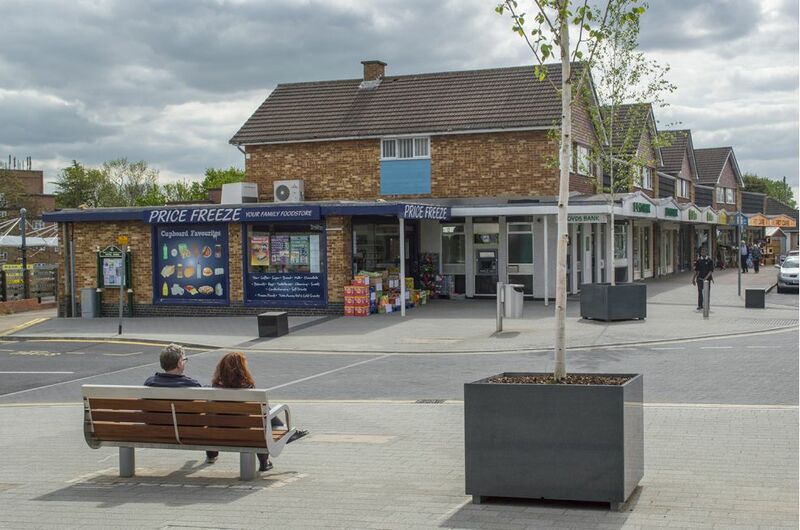 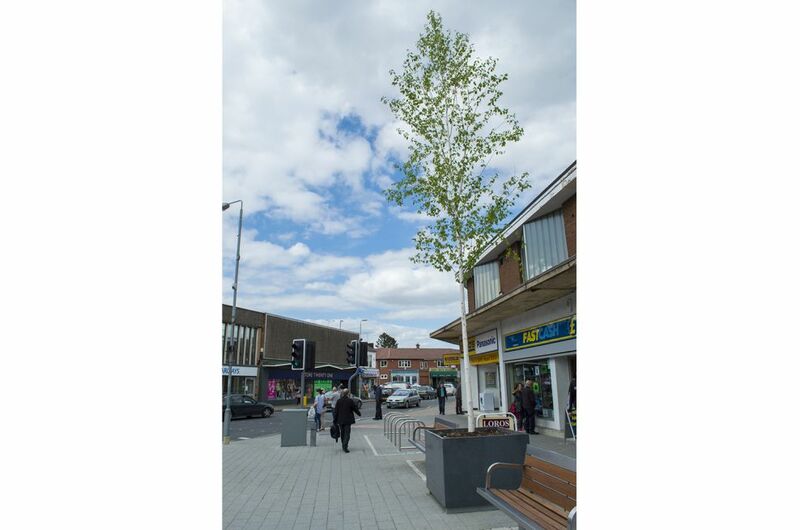 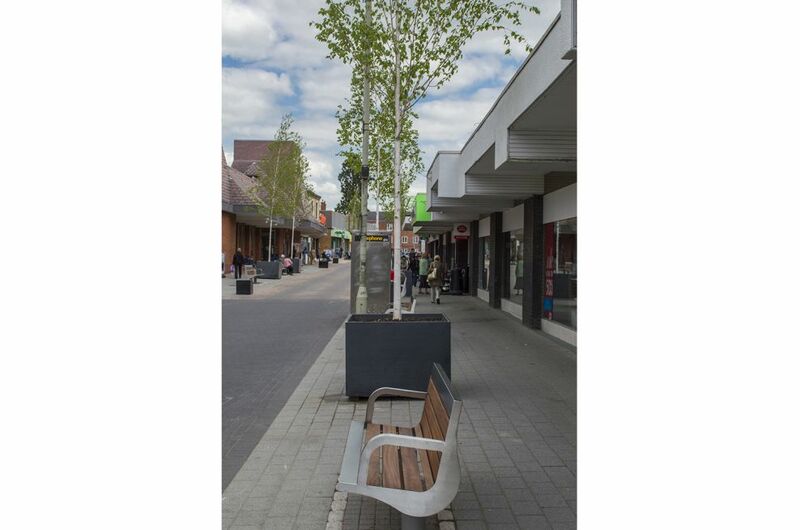 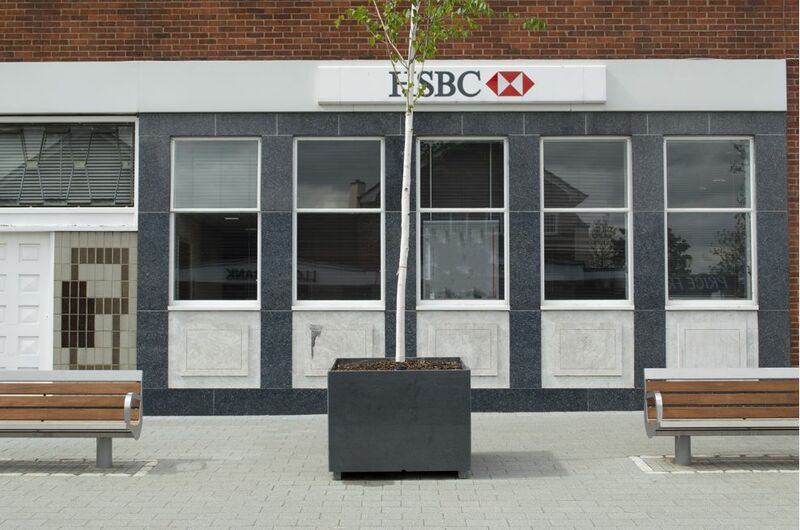 Bespoke granite tree planters were selected for town centre improvements in Oadby and Wigston, Leicestershire. 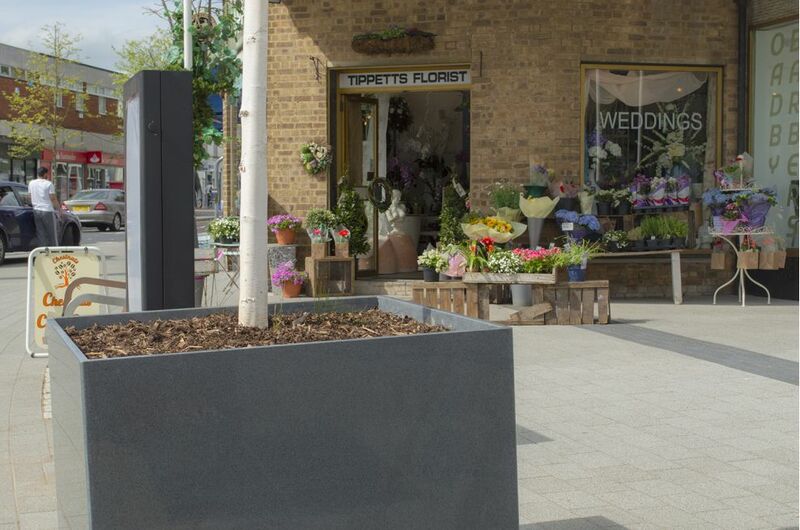 The planters were 16nr. 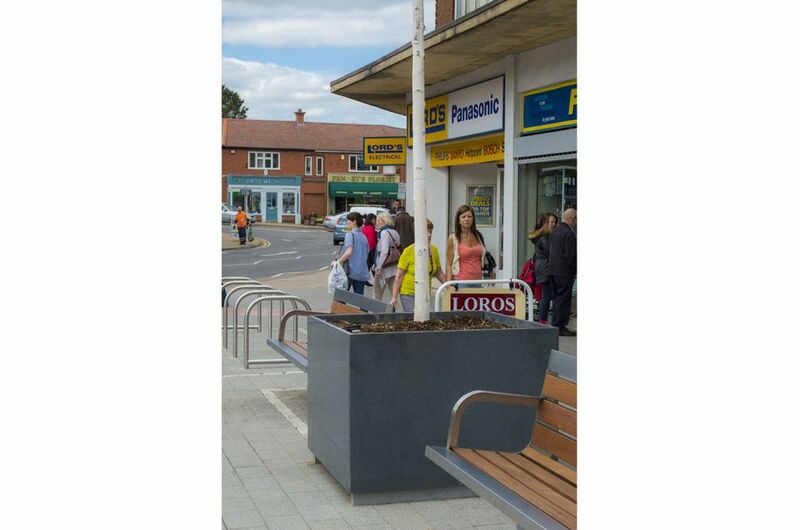 square-sectioned granite tree planters of dims L 1200 x W 1200 x H 900mm. 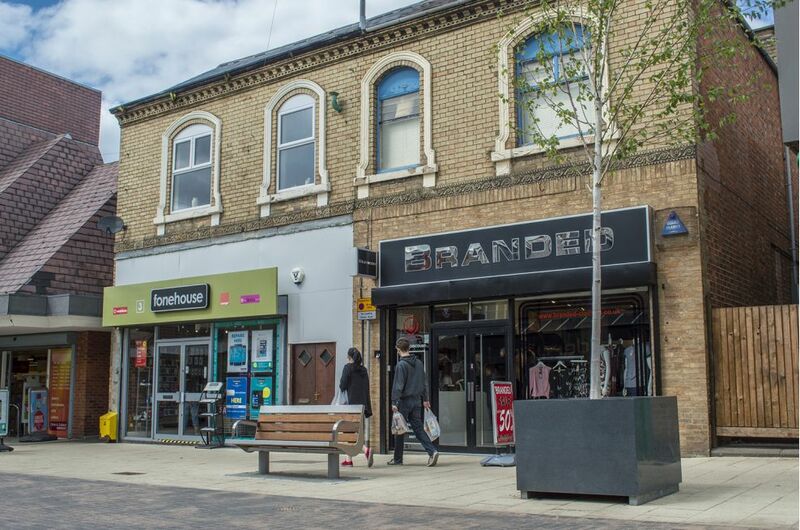 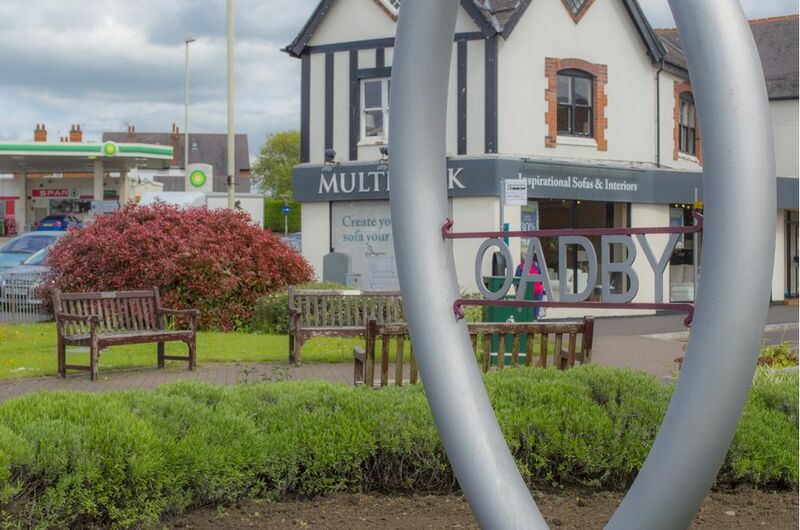 The planters formed part of the comprehensive redevelopment of the public realm along The Parade in Oadby and Bell Street in Wigston, undertaken by Oadby and Wigston Borough Council and Leicestershire County Council. 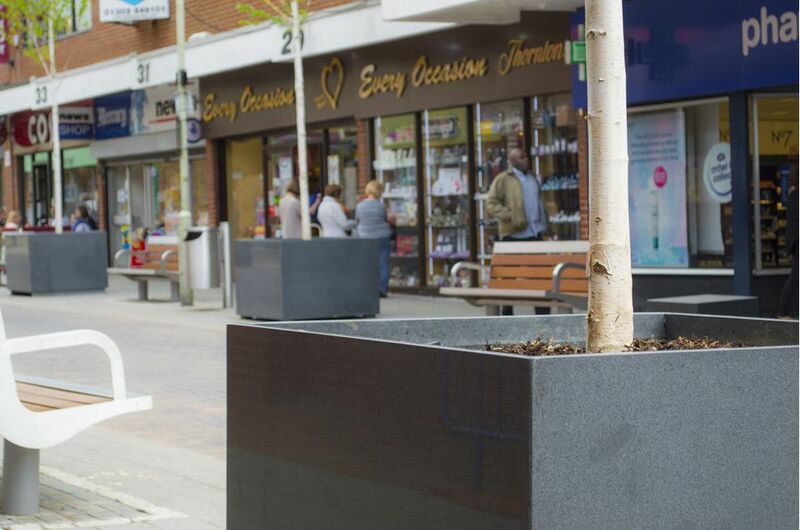 IOTA’s granite tree planters are fabricated from cut sections of quarried granite, and their weight, strength and durability make them ideal for specimen tree planting in communal public spaces. 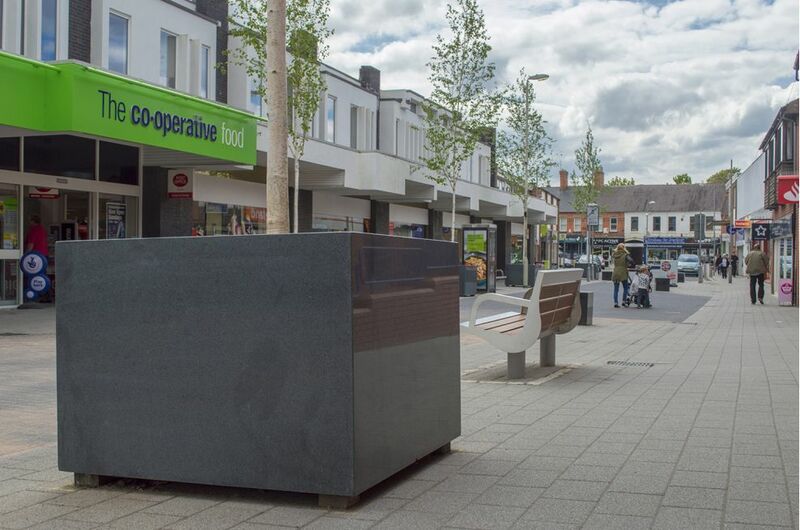 The planters for Oadby and Wigston were raised off the ground on granite runners, to allow flexibility for movement by forklift; and the specification also included steel eye bolts in the base of each planter, to serve as attachment points for a tree anchoring system.